Helloooo! Do you remember me? I'm the girl who loves to bake and has the Barbershop blog. I've been rather MIA lately, and although I've had every intention to blog, my schedule has not allowed it at all! So now that I finally have a few minutes, I wanted to bring you this awesome new recipe that you are going to loooove. *Sally's recipe actually calls for 1 tsp. of pumpkin pie spice. I didn't have this, so instead of adding it, I increased the cinnamon from 1 tsp. to 1 and 1/2 tsp., and I also added in 1/4 tsp. ground cloves. I thought the donuts had plenty of flavor with these spices, but I'm sure you could vary the combination of spices to match your own liking and they would be delicious! Preheat oven to 350 degrees. Spray mini muffin pan with nonstick spray. 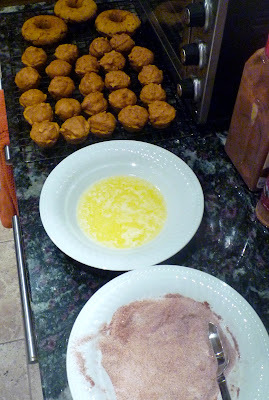 In a large bowl, combine the flour, baking powder, salt, cinnamon, nutmeg, and cloves; set aside. In a medium sized bowl, whisk together the melted butter and brown sugar. Add the egg and stir for 1 minute. Add the egg yolk, vanilla, pumpkin, and milk. Slowly pour wet ingredients into the dry ingredients. Stir until just combined; do not overmix. 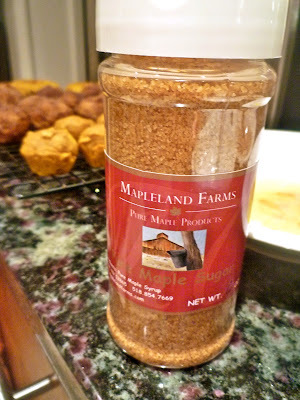 For some of my donuts, I dipped them in this awesome maple sugar. I found this at a great store called Gardenworks, which is located near my home town in New York (Gardenworks is also doing the flowers for our wedding!). 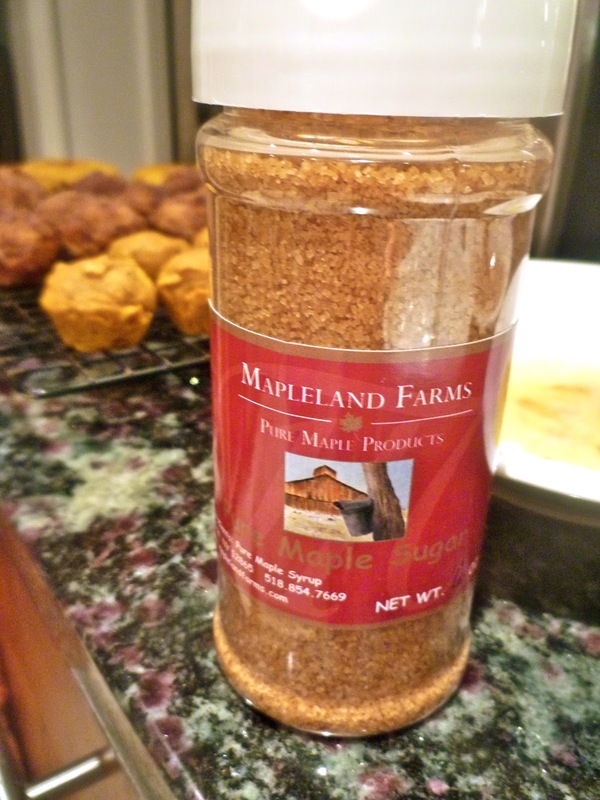 I haven't really looked for this maple sugar in other places, but I'm sure it's around. It's a great alternative to cinnamon sugar in recipes like this! The mini donuts on the right are the ones dipped in the maple sugar. This recipe made 24 donut holes and 3 regular donuts for me. With the wedding now less than 3 weeks away (!!!! ), I will likely be blogging pretty infrequently for the next month or so. The goal will be to post at least once a week, so hopefully I can still share a recipe (or something fun, even if it's not food!) with you all over the next few weeks.